Let's celebrate the release of Go 1.8. This is a world wide release party ! See more about this on here. We will held this event at Hatena Co., Ltd. Tokyo Office. We're looking forward to celebrating it with you. Please bring your own drink (beer) and food (Sorry, we can not serve it). deeeet published Go 1.8 Release Party in Tokyo. 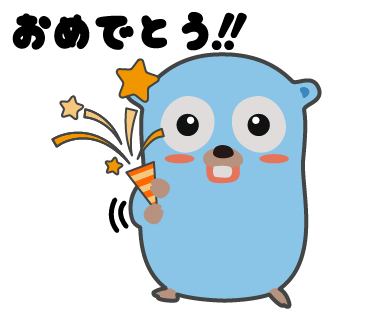 Go 1.8 Release Party in Tokyo has been published! I joined Go 1.8 Release Party in Tokyo!